Time management, when done well can literally allow you to perform miracles. But you may be wondering what the most useful time management tips are that will help you perform these miracles, or at least maximize productivity. 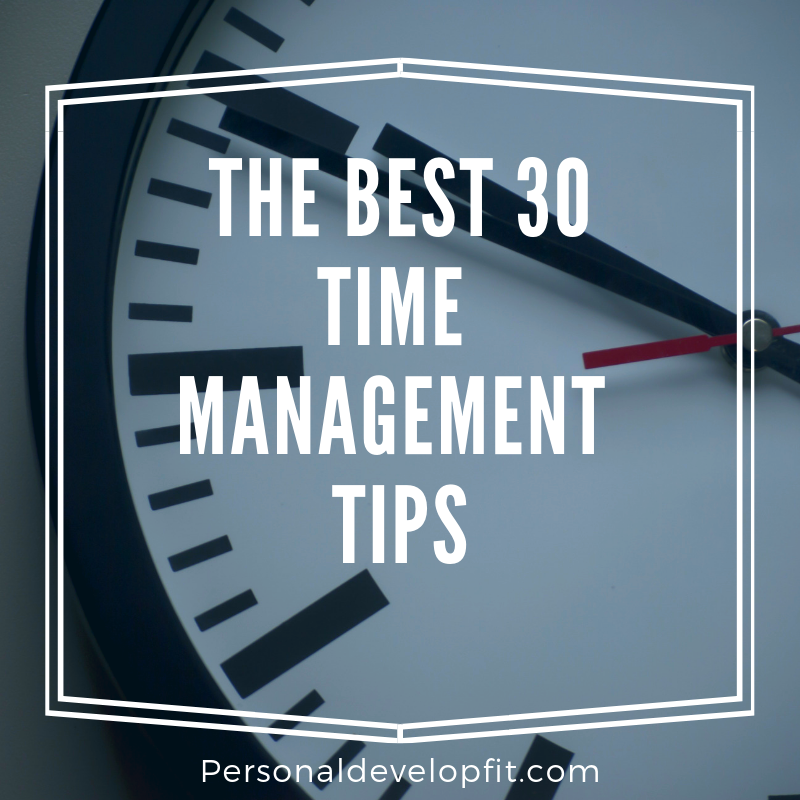 Below I offer you a 31 different tips you can use to manage your time with so you can milk the most out of your day and feel great about it. Tim Ferris talks about this in his book, the 4 Hour Work Week. He talks about simply checking your email at 11:00 PM and 4:00. Doing this will allow us to not be overwhelmed with emails right when we wake up, as most of us check it upon rising. As well as people will get to know our schedule and the fact we only check it at these times. Keeping them from sending us emails and calling and texting about them. You can even put it at the bottom of every email you send out that you only check your email at these two times. Tim talks about training people and by doing so we take charge of our day even more. Also put that if it is a true emergency they can call you directly and that you are doing this in an effort to simply increase your productivity and efficiency. Set an reoccurring alarm on your phone each day at these two time slots and only check your email then. Afterwards, leave your inbox be. Mindlessly checking email is too dangerous of a task that will ruin your productivity levels if it gets out of hand. When Tim started to implement this time management skill, he said the actually received a lot of supportive feedback. To get the exact email template that he uses to email out to his list of people, check out his blog post at: How To Check Email Twice A Day. Productivity Hack – In order to manage your time well with email, limit your email to five lines. This will keep us to the point when shooting out emails. A great article called, time management is the key to productivity, talks about how of course we need to pencil in what we need to do the next day, create a checklist. But in order to be most effective with this checklist, we need to know ourselves and when we are alert and energized and plan our toughest and most daunting tasks around this time frame or these certain hours. Don’t overload yourself. This is done by knowing yours strengths and weaknesses and being familiar with times or tasks that you get easily overwhelmed with. The third task to utilize to maximize this time management hack is to determine how much time that it will realistically take you to complete each task. This will keep you on track and avoid procrastination. Follow this list and time table to a tee. If you find yourself getting procrastinated, move onto the next task and come back. Just try to stick to your schedule as best as humanly possible. This will also keep the time hijackers in our lives out of the equation as you will already have your time planned out in advance, leaving us less subjective to getting pulled away by meaningless nonsense. So above we talked about planning ahead. The true essence of planning ahead is knowing your time schedules so that you don’t procrastinate or jump to different tasks. You know what needs to get done and you do so without much of any distraction. You can utilize time chunking for better productivity levels by time chunking entire days and weeks. On days where you have a lot of family activities or personal things to do, simply put more mindless tasks on the list for that day. Write all your goals and ideas down that demand your attention, literally ALL of them which you can weed out what really doesn’t matter later. Third, look at things you can do to advocate those goals. For example if you are trying to get healthier, then make it a goal that week to start eliminating soda or walking around the block each night. So instead you can day chunk your tasks in a way where your schedule consists of entire days where you get certain things done pertaining to your life. We all know the feeling of when we waste time on something that we could have really just hired someone to do for us. It is time we will never get back. When it comes down to it, if you are getting paid $20 an hour and something you are doing can be done for $10 an hour by someone else, then you might as well hire out. Also, utilizing the task to hire hire out can allow you to maximize your productivity levels because you will also be hiring people to do thing you really don’t want to do. Things that take away from your creativity and passions. Like hiring a gardener to free you up to start that online business. Or paying a little extra for shipping instead of driving to the store to buy the item for cheaper. The more we get into the habit of doing this, the more free we become to dedicate our time to tasks that really matter. It can make us be conscious of how precious our time is after continuously asking this simple question pertaining to our tasks at hand for the day. This also can include hiring a cleaner to help keep the house fresh so you can focus on other tasks you need to get done. To do lists can seem incredibly daunting. And although checking off things on a to do list can release endorphins allowing us to feel good about our productivity, there is an even better way! A great article called – Work Smarter – talks about how people who write down what they have eaten throughout the day when dieting tend to lose more weight. Well when it comes to goal setting and better yet goal getting, you can harness the power of writing things down on in the form of a done list. Writing things down shows that you are making progress towards getting things done. Even if it wasn’t on your to-do list, put things on your done list that you simply got done. It will make you feel accomplished, plain and simple. This is a great pat on the back that shows you that you have been productive with your day and will lead to bigger and better wins. You can catalog all your wins on the done list and review it at the end of your week as a way to fire you up for the next week. Another great article titled – Swap You To-do List For A Done List – talks about how having a to do list can leave you looking at all you didn’t get accomplished or what you still have to do, rather than what you did. This can cause one to feel overwhelmed. So it is simply reversing the psychology of how we look at to do lists. It can also reveal our weaknesses, seeing what we didn’t get accomplished, allowing us to maximize our productivity. But we are now seeing them in a different frame of mind, since we are looking at it from a place of accomplishment rather than lack thereof. Knowing what you stand for can allow you to truly be the pilot of your day. When you set your standards and set them high, people can’t deviate you from your goals as much anymore. So mapping out a list of your standards can allow you to set them in stone and operate off them consciously. For example, let’s say that your standard is to live a life where you no longer have to worry about money. Your standard here would be financial freedom. So when someone asks you to go out for drinks that night, you can revisit your standard about how you want to be financially free and that you don’t see going out for drinks as conducive to this standard as it will ruin your productivity for the next day or so. These are your own rules to live by. They will also allow you to enhance productivity in your life in a big way as you will have the end goal in mind and know that you need to be efficient with your daily tasks in order to keep projecting yourself towards that goal and standard of living. When you set better and higher standards for your life, you will create a better and more disciplined mindset. Also, ask yourself what your life would look like in ten years if you don’t live each day to the higher standard of living. It can scare us enough to operate from higher standards right away. Once you set higher standards, people will respect you and your time more and not try to waste it. Once we set our own high standards, we act in a way that supports them. When we truly believe in them, they literally become us and we become them. We act in a way that is supportive to who we think we are. So lets set high standards and become slaves to them! When we are trying to knock out tasks for the day, we can become overwhelmed very quickly. Which is OK, as long as we don’t let these feelings cloud our judgement as well as block our productivity levels. Taking a few minutes to evaluate your feelings of stress and asking where they are coming from, can allow us to take a mental breather as well as handle our stress and anxieties about the day, not let them handle us. If we keeping going on autopilot, we can sabotage ourselves. Step back, take a breather and evaluate. This will allow you to process what’s going on and proactively search and create solutions. You can implement what is referred to as the Pomodoro Technique which has been shown to increase productivity and help with time management. It consists of choosing a task to work on and doing so for 25 minutes straight followed by a nice 5 minute break. Then you proceed to do 3 more Pomodoro sessions followed by a 20 minute break. Or you can be like Elon Musk and Bill Gates by breaking your days down into 5 minute increments to keep you on schedule! Instills Discipline – We can make it a challenge by not giving up on the task until the timer is done. Productivity – We will assemble things faster as we will feel the crunch for time as tasks expand equivalent to the time we give ourselves to complete them. Momentum – It will give us a bite sized way to get going and can give us the power of getting into motion to continue and complete the project. Singular Focus – It allows us to hone our focus and expectations. Do this until the timer rings and them move on. Targeted focus. No Interruptions – We allow the timer to run us and not outside distractions. We focus on the task at hand and then return phone calls, texts or door knocks after the timer is done. 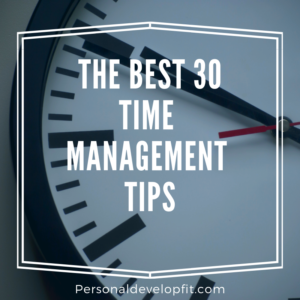 This can include us all setting timers for the activities that aren’t supportive to our time management. Like TV and gaming. We have to have fun, but we should do so conscientiously. Look at what your are saying yes to right now. Which will allow you to look at what you are saying no to because you are saying yes to the other things. Are you happy with these choices? This will show you what the power of yes has been taking you away from and learning the power of no by realizing the destructiveness of saying no. It will allow us to do “nothing” which is what we often times don’t want to do. But these times of doing nothing can give us time to rest and replenish our energy stores to be productive in life. Also, ask yourself the question “Would you (particular thing) do it tomorrow?” If the answer is yes, go ahead and do it but if it is no, then it is time to reevaluate. You can do this with certain patterns, events and people that you have been saying yes to when you really should be saying no and break chains of things you are saying yes to, opening up a ton of time for yourself. Lastly, if you want to segway into say no, start by using “not now”. We are all interested in things people want us to do, but saying not now can give us time to reflect and see if we really WANT to do so. Or you can use the question – Can I get back to you on that? It won’t be an abrupt NO and people will respect this response more. It lets you off the hook and doesn’t make them feel totally rejected. The art of delegation is key, especially if you manage people or play a big part in an organization. But the power of delegation can be used by anybody! Learn how to give jobs to people who are better than you at them. So you can focus on what you are good at, maximizing results and minimizing stress and creative blocks. A great article talks about the process of how to go about using delegation talking about first starting off with the question – If you were going to delegate 100 percent of your tasks then what would you do with your time at work? Whatever comes up then you, things like sell more, invent more, learn more, design more. Whatever comes up, start focusing on the tasks you can actually delegate right now to start being able to focus on those things that are vital to your advancement. We all have been in the zone and then look down at our phones and see that we have an Instagram DM, a Facebook like and a Tinder match. This results in getting distracted for the next 10 plus minutes. We need to go into our settings and turn of social media notifications. Also turn your text message alerts to private so that they just say who the text is from. This way we see that we have a text from our friend or family, but we also won’t get distracted by the actual text. This also includes having our top couple to few goals and asking yourself if the tasks you are doing throughout your day is either getting you closer to your goal or further away. IF it is getting you further away, then either your goals aren’t compelling enough, or we really need to look at our daily lives and start eliminating those things that are hurting us FAST. Life is way too short to not go cold turkey off of what is hurting us and keeping us away from the destiny we want to create. Get into a daily grove of doing things that are furthering us towards our biggest goals. Once we do this, we will realize how precious time is and how we can start to create habits that are beneficial to our long-term vision. We will look back at our old ways and think how much time we had wasted, which will keep us on track with our new good habits and never look back again. Clear – This is a great app that syncs with you iCloud account that keeps you accountable through the likes of push notifications and reminders that helps you hone in on what really needs to get done. It does this through digestible categories that helps you accomplish your goals one at a time. Rescue Time – Helps you stop wasting time by sending you reminders that alert you if you are spending too much time working on certain tasks. It also provides the user with in depth reports and highlights that help you understand where and how you are spending your day. There is a great article called – How does time management affect my health – talking about how creating a good sleep schedule can help you manage your day better by being able to focus on important tasks as well as big and small goals. It helps you learn better as well as properly consolidate newly learned information. It allows us to properly interpret the events of the day as well as make room in our minds to gather future information. It is simply imperative to maintaining good health and low enough stress levels to operate optimally and get things done. You can also integrate mediation into our daily routine in order to achieve more peace in your life. It can help you manage your day better as well as help your sleep cycle and recovery. 15.) Priority List On Steroids! Master List – This is where we write down everything that comes to mind, tasks, goals, etc, which you can prioritize later. Weekly List – This is where we plan our entire week in advance and is under construction throughout the week where you can add and take away. Brian talks about how we should prioritize this list leading with most important to least and finishing important projects first. Dedicating the bulk of our time that is going to change our life the most through. He says that this can help us increase productivity by 25% the day we start working consistently off our list. The most important thing is to write or type it out so you can have a visual of it. Out of Office Replies – When you enable this feature, meeting invites that come to you will be automatically rejected if they fall into the period of you being out of office. Manage Work Hours – The Working Hours Feature lets us customize our work schedules from Monday to Friday where Google can even make suggestions related to our working hours with it’s smart feature, letting us get better management of our time. Heads Up On Being Late – There is a great feature that allows us two ways to share with people that we may be late through sending a message with the event editing feature or responding to everyone through the invite form. Appointment Slots – This allows people to only see designated time slots where you are available to meet or hold appointments during. Asking When NOT What – Putting time tags on our goals are crucial. Instead of saying “This is what I WANT to achieve” we need to start stating “This is WHEN we want to achieve it.”. This will put urgency into our goals and tasks. Check In Each Day – Checking in and seeing how you are doing each day will allow you to see how far you have come or lack there or. But the key, if you feel that you are falling behind, is to NOT move the deadline. This will simply reinforce us to allow ourselves to miss deadlines. By checking in we can figure out where we have to work harder, what we have to delegate and what excuses we need to scrap. Use Smaller Time Units – Instead of breaking our tasks into smaller tasks, we should break it down into units of time instead. This is a technique that can make sure you are the master of your own time for the next 2 years! So the steps to creating a tickler file is to purchase 45 files. You lable 31 of them with the days of the month. The next twelve are labeled with the 12 months of the year and last two tiles are labeled for the next two years. Here is a video on how to create and use the system effectively! We can start evaluating our day by keeping track of it. And when we go off of our schedule, we can simply evaluate why we are doing so? Are we getting to distracted by social media, office talk, our hearts just not in it? We need to evaluate why we are getting procrastinated, hone in on the REAL reason. Not Motivated – Believing we need to feel motivated to to things when we don’t feel like doing them. Which a solution to this problem is changing our mindset. We can do this by asking the questions – “Does my attitude prevent me from being motivated?” If we say yes to this, then we need to create an attitude adjustment that is more supportive to goal accomplishment. Not Knowing How – Lacking skills can affect us from knocking out projects. Talking to a counselor or instructor can help us identify skills we need to better in order to stop procrastinating, giving us the confidence to move forward. Fear of Failure – We put it off because we think that if we don’t put 100 percent of our effort into the project, then we can make excuses for the lack of quality to it. Saying that we could have done it better if we had more time. IT protects us from looking like a real failure if we make up excuses for why we didn’t complete it efficiently. Fear of Success – We don’t want to totally crush our projects because we fear we can’t follow it up with a better success, making us look like a failure. That we won’t be able to fulfill our own or others expectations. Of course we want to be on time ourselves. But we need to implement a rule that if people aren’t on time for meetings or meet-ups then we need to move onto the next task. It is incredibly selfish to keep people waiting and we cannot allow people to do so. Time is to precious. The more you implement this rule, the more people will adhere to. You will be the guy or gal that doesn’t allow this type of behavior. People will start living up to your standards as they know you will simply leave if they don’t. This can be a great way to maximize your time as you will not be waiting around for other people, time you can use to get other things done. Is there value in saving said item? If not then chuck it. What will life look like if I don’t keep this? What is the worst case scenario if I do toss this? Next is to de-clutter papers on your desk. Do so by condensing all piles and stacks into one big pile. Then schedule out a time where you can sift through these files and throw away what you don’t need, start paying off bills, filing tax records and other important papers and then repeating until the pile is only filed with things you need right now. Another tip that I use a lot is that if I haven’t used anything in 6 months, I toss it or donate it. Chances are that after this allotted amount of time, we are not going to use the item again, it really doesn’t mean that much to us. We are just holding onto it because we have trouble letting go of things, but letting go of things can clear up more mental energy as we won’t have any more thoughts related to our clutter anymore. Going into meetings and simply just general meet ups we need to set intentions on how long we are going to be there and what we want to get out of the meeting. If we are vague on why we are there, we can waste time quickly. If we define what we want to get out of the meeting before hand, we can lead the conversation the way we want to lead it. Instead of having it lead itself to an unknown land far far away! Simply stating to our business associates, colleagues or friends – “What are our intentions for this meeting?” then say “I ask this out of respect for both of our time schedules”. People will respect this as you are being considerate of their time and see it as valuable. Once we establish our intentions for the meeting, then we have a template to go off of so we don’t get sidetracked. Although I don’t advocate that you have to get up super early, as I understand that everyone is different. I do believe that we should knock out the tough tasks first, early on in the day. Simply because this is when our willpower is at it’s highest levels. It also allows us to free up mental space instead of thinking about them all day and then trying to get them done last minute. Which usually just leads us to moving them over to the next day. You can also use the 1-3-5 technique where you create a to do task which has one BIG item you want to get done, 3 MEDIUM tasks that you want to get done and 5 SMALL tasks you want to complete. Prioritize those 6 items by their importance. After arriving at the office the next day only concentrate on the first task until it is entirely finished. Then move onto the next. Do this with the entire checklist in order. If Charles Schwab paid almost a half a million dollars for it, there may be some validity to the technique! The mind doesn’t know the difference between reality and falsehood. We can trick the mind in to thinking we have projects due at an earlier date. We can act like it is due earlier than it is. Which will allow us to hit our quotas as well as get things done earlier, exceeding expectations or our colleagues, clients, co-workers and a boss if you have one. Although it takes time out of our days to exercise, it can help us with time management in a larger scale. It has been shown to enhance creative energy as well as help us sleep better. Creating a more vibrance and vitality to bring to the work place to be more efficient. It also reduces stress levels, allowing us to function with a more clear mind. When we feel better, we perform better, plain and simple! This is a great time to utilize a time management hack by filtering something that will help your productivity like audios that will further you in your career, guided meditations or simply motivational videos. Simply tracking our day can help us keep track of what we are really doing with our days and how much time we could be wasting. You can create a time diary out of all these entries, either by compiling your daily lists, or simply journaling where you are wasting the bulk of your time. At the end of the week or month you can see what keeps coming up as far as things that aren’t beneficial to maximizing your time. Then you can group together a couple of these factors and start strategizing on ways that you can overcome these. For example if you are watching too much TV, you can cancel your cable plan and get HULU or Netflix. Or you can start recording your favorite shows to get rid of time we waste on commercial time. When heading our for meetings, can you set up your driving route so that you are going to be near places that you can get other things done? Are there places you need to go near by? Drop clothes off at the dry-cleaners, go to the bank, mail out letters? Maximizing your route can allow you to knock out more tasks. We have all been in those situations where we forget our password, which happens for me pretty much every time I login to download a new app on my Iphone. Anyways, then we have to answer the security questions then create a password that requires characters, numbers, capital letters, junior high pictures, Benjamin Franklin quotes. Just kidding but you get the point! It can take up a minute or twenty to get into the account we are trying to access.